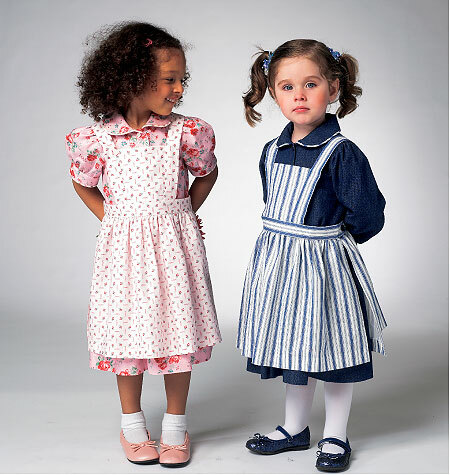 Dress features round neckline with peter pan collar, gathered short sleeves with cuffs or long sleeves with button cuffs, skirt gathered to bodice and in-seam contrast piping on collar and cuffs. 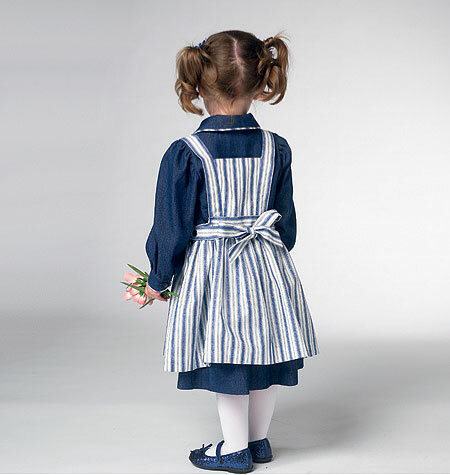 Pinafore has waistband with button closure, gathered apron style skirt with bib on front and back and waist ties that tie in the back. 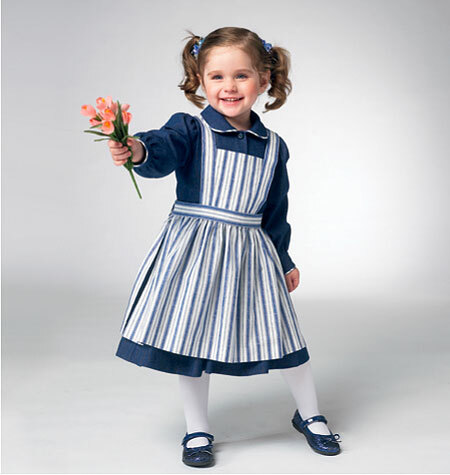 Toddler sizes 1T-4T included in this pattern.